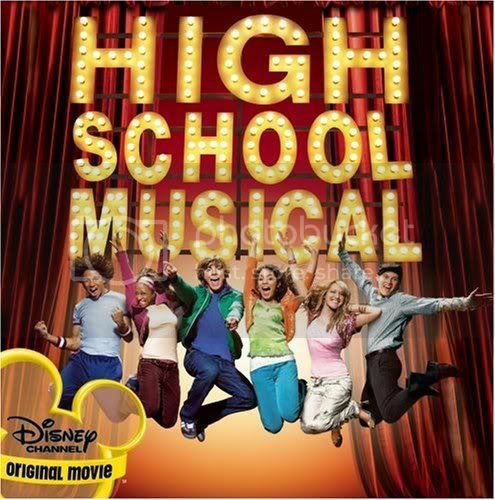 This is a fanclub of The Disney movie, High School Musical, starring Zac Efron, Vanessa Ann Hudgens, Ashley Tisdale, Lucas Grabeel, Corbin Bleu, Monique Coleman. Troy Bolton (Zac Efron) is the captain of the Wildcats basketball team and his father is the coach. Troy has a magnificent voice but doesn't know about his talent until he sings in front of a crowd at a New Year's Eve party with Gabriella. Later on, when Gabriella attends his school, East High, Troy decides to try out for the school musical with her. They prepare the song Breaking Free with the composer Kelsi Nielsen, and win the main roles for the Twinkle Towne Musical. Throughout the movie Troy comes to realize that he has strong feelings for Gabriella. Gabriella Montez (Vanessa Anne Hudgens) is the shy and brainy new student at East High. She originally meets Troy Bolton at a Ski Lodge on New Years Eve. It is there she realizes her love for singing, previously only being 'The Freaky Math Girl'. She had previously been in church choir, but when soloing, "looked at all the people staring at her and next thing [she] knew [she] was looking at the ceiling. End of solo career." Sharpay and Ryan find out that she has won numerous Scholastic Decathlons and get her to join the Scholastic Decathlon by showing an article about Gabriella to Taylor (the leader of the scholastic decatholon) so that they can get her to focus on that rather than the musical. She and Troy, against all odds, audition for the Winter musical and win the roles that they auditioned for. She comes to realize that she has feelings for Troy. Sharpay Evans (Ashley Tisdale) is the antagonist of the story who appears to be an arrogant, domineering and overall brattish person. She has always gotten the lead roles in musicals, since kindergarten. She is the more cunning of the Evans twins, and doesn't treat Ryan very well. Sharpay changes the callbacks date to prevent Troy and Gabriella from getting the roles, but it does not work out. However, at the end of the show, she has a change of heart and wishes Gabriella luck. So maybe she isn't that mean after all, just a little spoiled. Also, she initially rejects Zeke, but after tasting his cookies, she falls for him and is seen hugging him in the end. Ryan Evans (Lucas Grabeel) is mostly pushed to the side to let Sharpay into the picture. Ryan is not exactly the smartest person in the world (he couldn't read "GO DRAMA CLUB!"). He can often be very ditzy at times and is the nicer of the two. In the movie, not many details about this character are revealed, but one can conclude he is extremely flamboyant ("May be were being Punked!... Maybe we'll get to meet Ashton!") He also goes along with Sharpay's plans, because he doesn't really know what to do without her. It doesn't even seem that he is much bothered by how Sharpay treats him or maybe because he is just used to it. It can be concluded also that, aside from Sharpay, he has no other friends and is visibly intimidated by the jock crowd. (Sharpay cuts through the group, but Ryan goes around, he avoids eye-contact with Chad, and is more upset that the 'Jocks rule most of the student body, but if Troy makes it to the auditions, then they've conquered the entire student body' than Sharpay is about them making it to the callbacks). Chad Danforth (Corbin Bleu) is Troy's best friend and member of the Wildcats basketball team. He also seems to be extremely devoted to basketball, (considering he carries a basketball everywhere.) From the start he's a little selfish and isn't very supportive of Troy's auditioning for the musical. However, he realizes later that singing is something that Troy truly enjoys and so Chad throws his support to his best friend's audition endeavor. He has a possible crush on Taylor, evidenced by the fact that he practically asked her out. Taylor McKessie (Monique Coleman) is the leader of the school scholarly/science club. She befriended Gabriella when she came to the school and, by means both foul and fair, convinced her to join the scholastic club. While she at first tried to stop Gabriella from singing, she eventually ended up supporting Gabriella. Evidently she has a crush on Chad, although if she did she hid it well for most of the movie, or it may have developed while the Wildcats and science club were working to get Troy and Gabriella to the callbacks. At any rate she was certainly thrilled when Chad asked her out at the end of the movie. Mrs. Darbus (Alyson Reed) is the harsh drama teacher at East High. Her nemesis is Coach Bolton, and she will only ease up on talented singers. Her lack of knowledge for sports is prominent (she doesn't seem to understand the difference between a basket and a touchdown). She likes to pronounce 'musical' with a flourish, using a French accent. Coach Bolton (Bart Johnson) is the Wildcats' coach and Troy's dad. He is a former champion basketball player, and, like everyone else, expects the same thing of his son. His nemesis is Ms. Darbus. Kelsi "Playmaker" Nielsen (Olesya Rulin) who receives her nickname from Troy, and also "Small Person" from Chad, is the composer of the Twinkle Towne musical, which includes the songs "What I've Been Looking For" and "Breaking Free". Kelsi is not the most confident person as noted by her reaction to Sharpay's comment that Kelsi's knowledge about musicals is not very large, however she gains confidence throughout the film and at the end of the movie, ends up standing up for herself. Zeke (Chris Warren Jr) is a member of the Wildcats Basketball team. He is interested in baking (revealed during Stick to the Status Quo)and he likes Sharpay, and at the end of the movie Sharpay starts to like him for his excellent skills - and cookies. Also, as said in Stick To the Status Quo, he wants to bake the perfect creme brulee. hey ppl....the shooting of HSM 2 : Sing it all or nothing ! is going to begin once Zac finishes shooting for Hairspary, and is roumered to release by May 2007....can't wait!!!! Congratz on this awesome club of HSM!!! I love HSM and Zac!!! A big welcome to all the members!!! !